Thank you for choosing Omni Elite Athletix! We are so excited to have you! Transfers from one class to another can be made at anytime. Simply Contact the office. Monthly tuition is made payable through automatic draft from a credit/debit card on the 1st of each month. A $25 fee will be assessed for declined cards and returned checks. On the 6th of the month a late fee of $25 will be assessed on a unpaid tuition and fees. If your child misses a class, you may call and schedule a make-up day as long as there is room available in the appropriate class. Your child can also participate in "Open Gym" as a make-up class. Liability Release: For good and valuable consideration, the receipt and sufficiency of which are hereby acknowledged, I as a parent or legal guardian of the listed minor or minors, (hereinafter "Minor"), hereby grant the permission necessary to allow Minor to participate in the above practice, class, camp or event to be conducted by Omni Elite Athletix, LLC or Omni Elite Foundation. I, in my own behalf and/or on behalf of the Minor, further agree to release and to hold harmless Omni Elite Athletix, LLC, Omni Elite Foundation and Corporate Sponsors (hereinafter "Sponsors"), Housing Sites (Omni Elite Athletix gym, university, hotel, convention center, high school) on whose premise the practice, camp, class or event will occur (hereinafter "Location") the affiliates of Omni Elite Athletix, LLC or Omni Elite Foundation, the location and the respective directors, officers, representatives, members, agents, and employees of Omni Elite Athletix, LLC, Omni Elite Foundation, sponsors, the location and their respective affiliates (hereinafter collectively "Releases") from any and all liability, whether caused by negligence of the Releasees or otherwise for any claim , judgement, loss, liability, cost and expense (including, without limitations, attorney's fees and costs) arising out of or connected with any activity or event, including any claim arising out of or connected to any illness or injury (minimal, serious, catastrophic, and/or death) the Participant and/or a Minor may incur or sustain during a practice, class, camp, or event and all activities associated while traveling to and from the site whether or not the activity or event actually occurs. I further expressly agree to indemnify and hold harmless Releasees and Releasees' heirs, successors, assigns, executors and administrators against loss from any further claims, demands or actions that may subsequently be brought by the Participant or Minor or by any other persons on the account of damages of any character resulting to Participant or Minor in anyway from the forgoing activities. I further agree to reimburse and make good to Releasees any loss of costs Releasees may have to pay as a result of such action , claim or demand. I hereby warrant that I have read this Liability Release in its entirety and fully understand its content. I am aware that this Liability Release releases Releasees from liability and contains and acknowledgement of my voluntary knowing assumption of risk of injury or illness. I further acknowledge that nothing in this Liability Release constitutes a guarantee that the Practice, Class, Camp or Event will occur.I have signed this document voluntarily and of my own free will. Medical Release: I, In my own behalf as participant and/or on behalf of the Minor, acknowledge and agree that such participation subjects Minor and/or Participant to the possibility of physical illness or injury (minimal, serious, catastrophic and/or death) and that I, in my own behalf of Participant and/or on behalf of the Minor, acknowledge that the participant or minor is assuming such risk of Illness, or injury by participating in the practice, class, camp or event. In the event of such illness or injury, I authorize Omni Elite Athletix, LLC and Omni Elite Foundation to obtain necessary medical treatment of Minor and hereby, in my own behalf and/or on behalf of the Minor, release and hold harmless Releasees in the exercises of this authority. I further acknowledge and understand that I will be responsible for any and all medical and related bills that may be incurred on behalf of the myself (the Participant) or Minor for any illness or injury that the Participant or Minor may sustain during the Practice, Class, Camp or Event and while traveling to and from the site for the Practice, Class, Camp or Event whether any of them actually occur. Participant and/or Parent/ Guardian of Minor hereby releases any liabilities, claims, cost and damages that arise or may hereafter arise on account of any first aid medical treatment or service rendered to Minor or Participant in connection with the activity. Minor or Participant will take for herself or himself any appropriate precautions or medications to treat and/or reduce the likelihood of exacerbating and pre-existing health conditions, or insect, food, or medication allergies. Gym Rules: Individuals (Including current, former and Omni Elite Student-Athletes, Non Omni Elite Coaches or Non Omni Elite Employees) should not under any circumstance use any equipment (other than the 1 designated spring floor) Including but not limited to the Tumble Track, Barrels, Wedges, Bars, Beams, Panel Mats, etc without direct supervision of an agent, administrator, employee, coach or director of Omni Elite Atheltix, LLC. 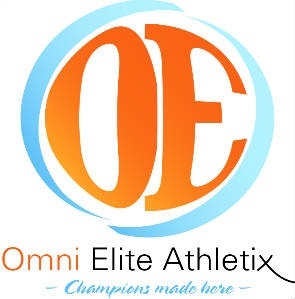 Parents of student athletes are not permitted in the Omni Elite Athletix Gym area for any reason unless directly invited in by a agent, administrator, employee, coach or director of Omni Elite Atheltix, LLC. Other: This release shall be binding and legally enforceable against Participant and/or Parent or Guardian of the Minor and Participant's and Parent or Guardian's heirs, executors, administrators, and legal representatives. This release shall be governed by and interpreted in accordance with the laws of the State of North Carolina. In the event that any clause or provision of this release shall be held to be invalid by any court of competent jurisdiction, the invalidity of such clause or provision shall not otherwise affect the remaining provisions of this release. I, in my own behalf as Participant and/or on behalf for the Minor, hereby warrant that I have read this Participant Release and Waiver form in its entirety and fully understand its contents. I, In my own behalf and/or on behalf of the Minor, am aware that this Participant Release and waiver form releases Releasees from liability and contains acknowledgement of my voluntary and knowing assumption of the risk of injury or illness. I, in my own behalf and/or on behalf of the Minor, further acknowledge that nothing in the this Participant Release and Waiver Form constitutes a guarantee that the Practice, Class, Camp or Event will occur. I, in my own behalf and/ or on behalf of the Minor, have signed this document voluntarily and of my own free will. A Participation/ Liability waiver( plus Parent Handbook, Athlete and Parent Agreements and Payment agreement for All-Star Cheerleaders) must be kept for each student/ athlete. Content of the waivers and agreements may be updated at anytime. All content of the Waivers and Agreement plus any additions to these waivers and agreements will remain in full force. All-Star Cheerleading Families : By signing the registration agreement and waiver you acknowledge that you have read and understand the All-Star Parent Handbook, Payment Agreement, Parent and Athlete Contracts and any other agreements added at any time.